Turin is a dynamic and attractive city that knows how to renew itself and look to the future. It has become a fresh, smart, modern and open-minded hub of all that is European. The city hosts more than 100,000 students, many of them international, attracted by a wide range of higher education opportunities, schools and universities among the most prestigious in the world. The region is the cradle of many important Italian companies. Accenture, Avio, Caffarel, Comau, Ferrero, Intesa Sanpaolo, Lavazza, Martini & Rossi, Reply, Robe di Kappa, Unicredit, all of which (among many others) are available to recruit our students. Turin has plenty of exciting places to visit and hosts lots of events and international cinema, art and music festivals. The city is renowned for it's palaces, art galleries, restaurants, churches, theatres, libraries, squares, gardens, museums and other venues. Turin, due to the presence of many parks, is one of the Italians greenest cities. It has a rich culture and history and it hosts lots of cultural events. The Turin Campus, founded in 2004, is a young campus who experienced rapid growth. With the enthusiasm of a start-up, it firmly believes in entrepreneurship and the strong development of successful initiatives. The campus serves both students - 300 from more than 30 different countries - with Masters Programmes and the business community, with a complete offer of executive education, applied research and entrepreneurship services. The Turin Campus has strong relationships with a number of national and international companies which contribute to it's governance. The ESCP Europe Italian headquarter became since the beginning an important opportunity for our business school to move further to companies on the Italian territory, which found in ESCP Europe Turin Campus a valuable partner for the training of there talents. These strong links with the business community are one of the key characteristics of the Italian campus: over half of it's activities are with the corporate world. Turin Campus is located on the premises of the main building of the University of Economics of Turin. The Campus offers a comfortable atmosphere for both students and business partners. Lecture rooms and facilities are designed to build a student friendly environment. The campus offers modern equipped classrooms, a computer room, library and Wi-Fi. The campus has different types of lecture rooms, all of them comfortable and bright. The classrooms are modern equipped and furnished in order to guarantee interactive and dynamic lectures and fruitful exchange of views between teachers and students. Our modern computer room is available for students use. Furthermore Wi-Fi is available throughout the Campus. All necessary books for research and study needs are available in the ESCP Europe library. A wide range of electronic databases providing access to over 1,500 academic and trade journals are accessible to students. 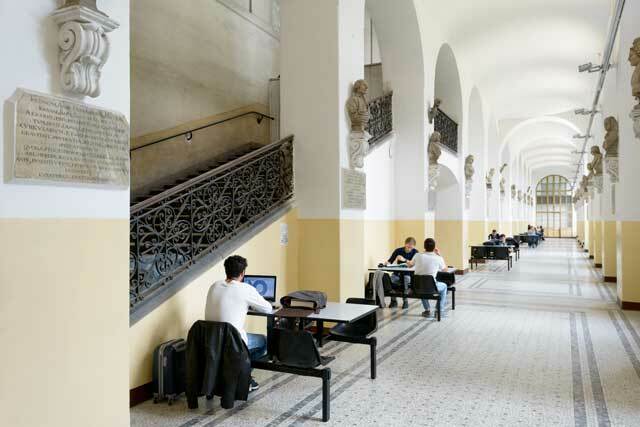 The ESCP Europe students can also use the University of Turin's facilities like library, studying room and the relax areas such as bar and garden. Our students are strongly encouraged to actively participate to Campus life. Several Students' Associations operates in Turin Campus with the support of the staff and management team for discussing and developing new initiatives and start-up. JET ESCP Europe, the Turin Campus junior enterprise, spreads ESCP Europe methodology in society at large. It is entirely run by students belonging to the Turin Campus. Eventures supports students in creating sporting events to gather with alumni and professionals such as the Regatta ESCP Europe, ESCP Europe Ski Event and ESCP Europe Golf Trophy. Luxury Society creates a bridge between the ESCP Europe Students and the Luxury working environment via organising and implementing events with people from the luxury business. Private Equity Society bridges the gap between leading Private Equity funds and outstanding ESCP Europe students passionate about this business. It's aim is to build lasting relationships between the academic and the professional world. Zenith - Political Lab brings again politics, economics and current affairs in the student's life. Not only as abstract objects of interest, but as an experience of dialogue, community and productive conflict. Turin Campus offers our students a wide range of lectures and events allowing them to get in touch with companies and top managers. It is a series of debates and meetings with high profile company representatives called on to discuss current topics. These meetings are organised periodically to allow our students to meet experts and leading figures from the business world. It is a unique opportunity for students to start off there professional careers. From a company perspective the Career Fair is both an opportunity for Employer Branding and a first-hand contact with our talented students. A further opportunity for Employer Branding offered to companies: an exciting way to show students there business environment and inform them about selection processes and the initiatives they promote. They build a bridge between the Business School and the Business World, by accelerating the learning-by-doing process. They give students the opportunity to explore the companies’ departments and chat with managers and entrepreneurs. The birth of the Turin Campus was possible thanks to the support of it's founders: Paris Île-de-France Regional Chamber of Commerce and Industry, Torino Chamber of Commerce, University of Turin, Politecnico di Torino. 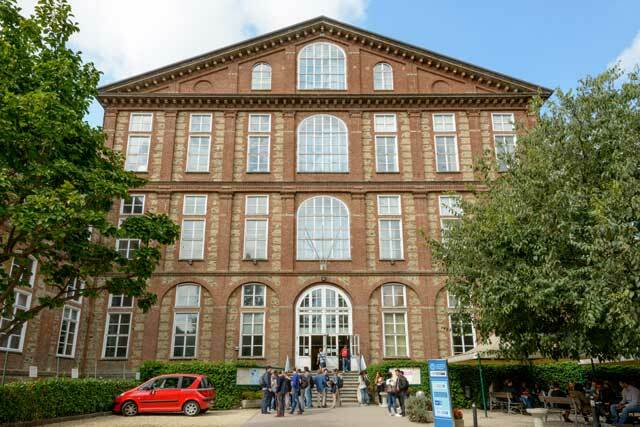 Compagnia di San Paolo and Fondazione CRT have sustained the establishment of ESCP Europe Turin Campus over the years. A select group of Italian firms contributes financially to support the growth of the Italian headquarters, as ESCP Europe Turin Campus partners. In Italy ESCP Europe's governing body is a Foundation - Fondazione European School of Management Italia - which was appointed to promote academic research and education in the management field. How to get to the campus? The GTT local transport company manages the Turin urban and suburban networks (1 metro, 8 tram lines and 83 bus lines). Turin is equipped with a bike-sharing system called TO-BIKE. It enables you to pick up a bicycle in one of the 116 TO-BIKE stations scattered all over the city. Turismo Torino e Provincia is the Convention & Visitors Bureau for the city of Turin and it's provincial territory.